This post brought to you by Avery. All opinions are 100% mine. November is the month of Giving and in that spirit I whipped up some Thanksgiving Tags that you’ll be able to put to use this year. 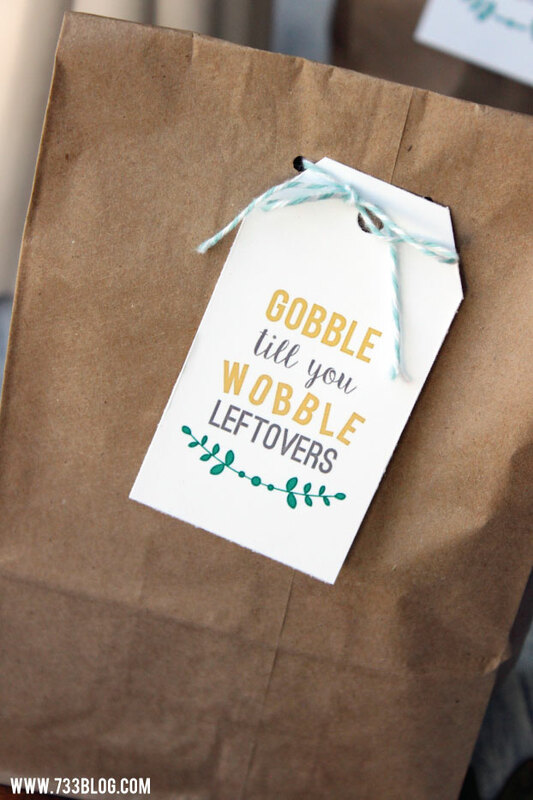 The first is a “Gobble till you Wobble” Leftovers Tag so that you can send your guests home with goodie bags in style. 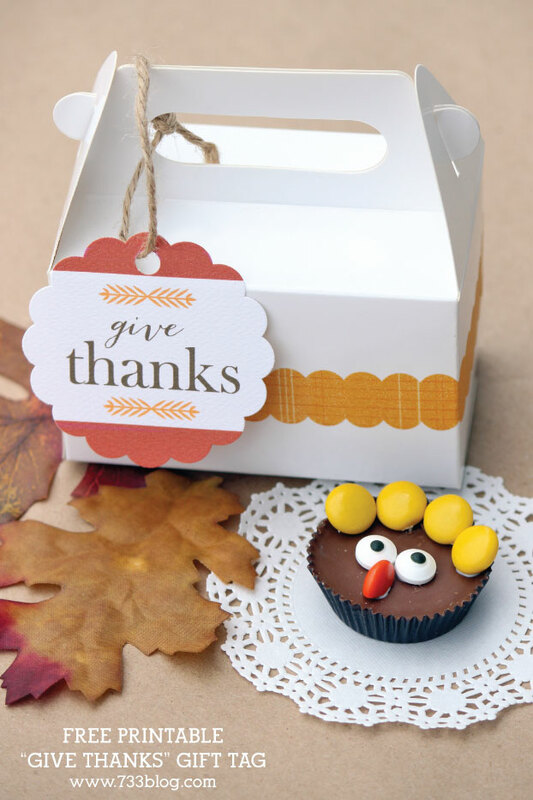 The second is a “Give Thanks” gift tag that is perfect to use on Thanksgiving table favors, or just as a way of letting someone know you are thankful for them! I’ve made both files available as a free printable at the bottom of this post! 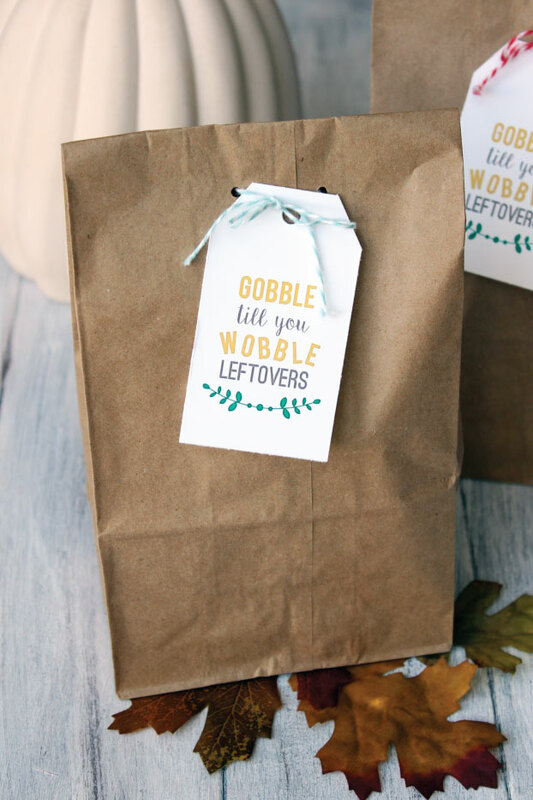 I printed the “Gobble till you Wobble” Leftover tags onto Avery 22802 gift tags and then attached them to paper sacks with bakers twine. These tags are perforated so no need for a paper punch or scissors! Plus Avery has online design software so that anyone can design and print some pretty spectacular projects. 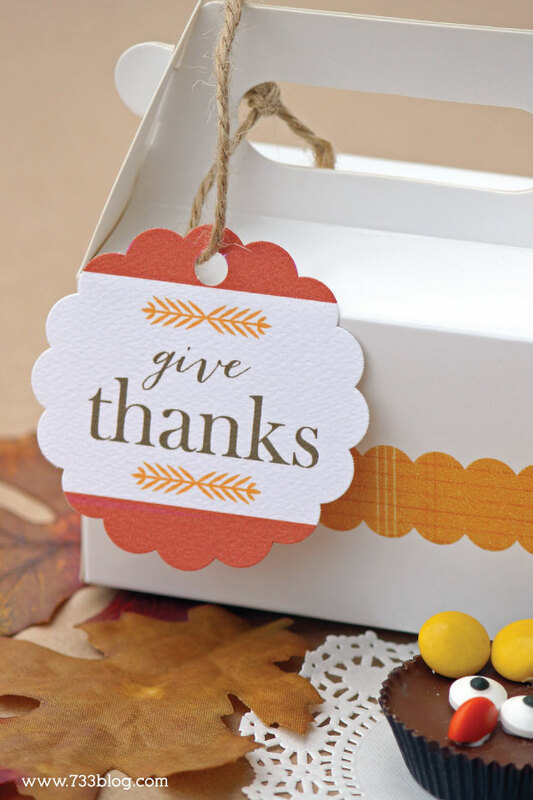 I used Avery 80503 2.5″ Textured Scalloped Gift Tags to print my “Give Thanks” tags on. My printable template will also work with Avery 80500 Scallop Labels if you prefer to adhere them to something! Don’t you love that Peanut Butter Cup Turkey? I shared the tutorial a few weeks ago, so head on over and learn how to make him in just minutes! Download the “Gobble till you Wobble” Leftovers Tag in pdf format. Download the “Give Thanks” Gift Tag in pdf format. Do not alter. For personal use only. When printing these tags, make sure that the scaling in your print driver is turned off – do not “fit to page” or anything like that otherwise they may not print correctly onto the tags. I’m glad you’ll be able to put them to use Shelly! Have a great Thanksgiving!